Bradford City and their manager Phil Parkinson have been the story of this season's FA Cup. Bradord City's John Stead celebrates after scoring against his former club Sunderland. It looks increasingly likely that Bradford City, after their astounding victory at Chelsea followed by their forceful dismissal of Sunderland, will reach the FA Cup semi-finals by winning at home to Reading. A team which may play in a higher division but despite the emphatic return of the veteran striker Yakubu, haven’t so far produced the remarkable form of Bradford City: whose manager Phil Parkinson has surely performed small miracles. What was so impressive in their romantic success at Stamford Bridge, aside from the high morale which enabled them to come back from a two-goal deficit, was that they achieved their aim through sheer good football. No long ball nonsense about it. And two glorious experiences for their centre forward Jon Stead. Incisive and productive against Chelsea, he must have been still more delighted by his part, scoring yet again, against a Sunderland club where he had once been cruelly satirised by the local fans, who even had a t-shirt printed mocking his long period of failing to score the goals expected of him when he had arrived expensively from Blackburn Rovers. In boxing there is an age-old expression, “They never come back.” It doesn’t happen very often in football, but here Stead provides a refulgent exception that proves the rule. This of course is not the only recent feat of giant killing by his club and you wonder how long it will be before richer, more fashionable teams start coming in for Parkinson. 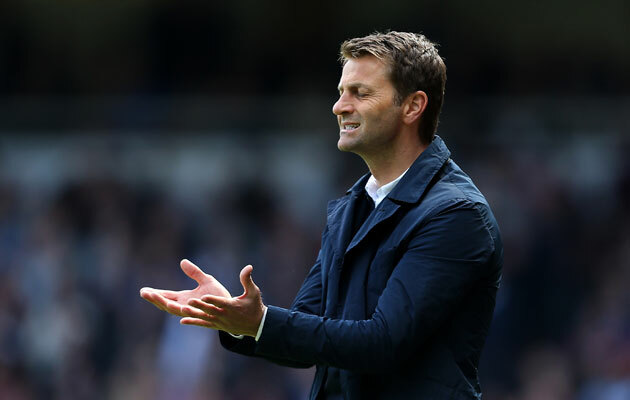 Tim Sherwood will bring the ‘shock of the new’ to Aston Villa, but wil he bring much else? Another young manager is in the spotlight in the shape of Tim Sherwood, whose first involvement with struggling Aston Villa, when at half time he quit the stand for the dressing room and galvanised his new team. At Tottenham, Sherwood, never backward in verbally coming forward, had his ups and downs, being eventually cast out in embittered circumstances. There is no doubt that he galvanised Villa in their ebullient second half against Leicester. What remains to be seen if whether what you might call ‘the shock of the new will’ ensure long enough for a previously sterile team to fight its way out of trouble. Its victory over a Leicester team which had surely started the Cup-tie as favourites cast doubt over the insistence of the ejected manager, Paul Lambert, that he desperately needed new players, having twice asked to be discarded. Interesting to see the much travelled Jermaine Pennant, arguably one of the great lost talents, back in England again at the age of 32, training with Millwall. This after a spell in the new Indian League with the Pune City club following a spell in Thailand; and now a free agent. As a young Arsenal right-winger, he showed huge promise and I well remember watching him at Highbury scoring a midweek hat trick against Southampton. But the Gunners didn’t keep him and my next bright memory of him is at Watford where, in a Cup-tie against West Bromwich Albion, he pulverised a usually capable left back in Clement, now the much-esteemed coach at Real Madrid. A breathalysed car crash which saw him sent to prison seemed to have put an end of a career which had promised so much with his natural speed and ball control. But to the rescue came Steve Bruce then manager of Birmingham City who utilised him with such success that I remember covering a match at St Andrews after which Bruce with reason called him unplayable. He also played for Liverpool and Stoke City but never found the consistency to match his sheer talent. Let us hope he may find it at The New Den. Can Chris Ramsey, whom Tim Sherwood would have liked to have at his side at Villa as he once did at Tottenham, save QPR from relegation now that he has been confirmed in managerial office till the end of the season? The 2-0 victory at Sunderland, achieved with the help of a fulminating volleyed goal by Bobby Zamora, was won without the injured Charlie Austin did make you wonder why Zamora never got off the bench in the previous match, Ramsey’s first in charge, when one saw the team lose so late on at home to Southampton. With Austin a largely isolated figure. Surely one felt at the time Zamora should have come on in the second half at lest to give Austin the help he plainly needed. Certainly Zamora has been something of a talisman for the club, his goal against a previously dominant Derby County in last season’s play-off final at Wembley giving them such a lucky promotion when the Derby centre back slipped and missed that right wing centre. Not remotely as spectacular a goal as the one scored by Zamora at Sunderland, but infinitely more important to the promoted club. Before Chelsea’s visit to Paris Saint-Germain, a profusion of articles in a variety of newspapers was devoted to the return to Stamford Bridge of the Brazilian international centre back, ex-Chelsea, David Luiz. One can see the fascination of such a return. But wasn’t this the undisciplined, however expensive, defender who failed in the World Cup against Germany, gave away a goal to the Dutch in the third place play-off.